Property was very well located and had everything you could possibly need near by, and the beach only a 5 minute walk away, aswell as the strips where the shops are near Cap Salou! Staff were very friendly, even though you did have to talk to streets away, although other reviews exaggerated the distance, it would take you no more than thirty seconds to reach the location to pick up the keys! Pool was lovely and cool, nice clean apartment overlooking the street below, some craic watching from there! 😂 Found it handy to walk to PortAventura which only took my partner and I 15 minutes or so to do, far cheaper than the near by taxi rank! For the money I spent, was more than I could have asked for, and also had a free room to store luggage until we left. Would totally recommend Linda’s bar and restaurant on just below the flats, really good food, big portions, for a very small price, ate here our entire holiday! Look forward to seeing the girls again! Excellent value for money, if you have a low budget. The balcony in the 2 bed apartment was a good size. The property was gated which meant that there was an element of safety. The location was close to restaurants, beach, and other amenities like water parks and the waterfront. There is very little else that one could say was likable about the property. The apts were in the centre of things and didn't have very far to walk to pubs, restaurant and the beach was only 2 min walk. We were given the keys as soon as we got there and didn't have to wait. Office was open 24hs if you needed anything and they all spoke English and were very helpful. Very clean, excellent shower, and perfect for my purpose which was to ride in the Gran Fondo Mussara cycling sportif from Reus. Nada. Vacaciones estropeadas por culpa de este alojamiento. que estaba en un lugar centrico y el baño estaba recien reformado. 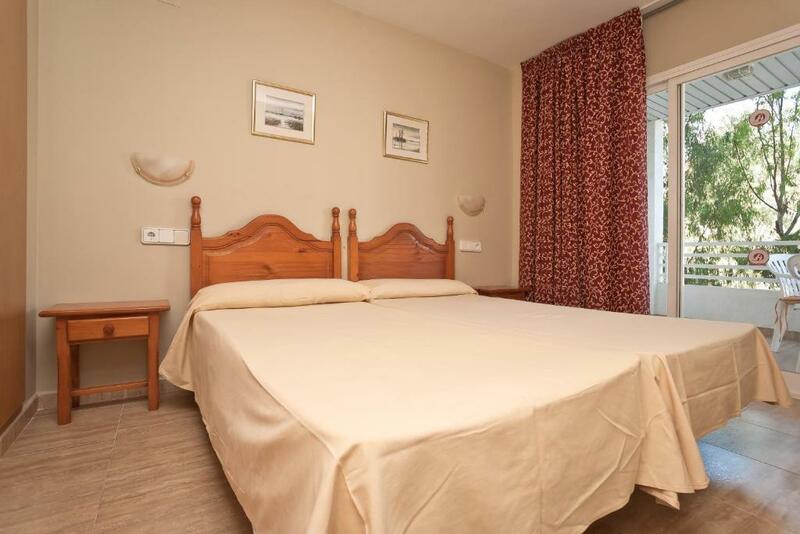 Lying in the Plaza Europa on the coast town of Salou, Rentalmar Royal Apartamentos boast a quiet location just 1,150 feet from the main beach and promenade. 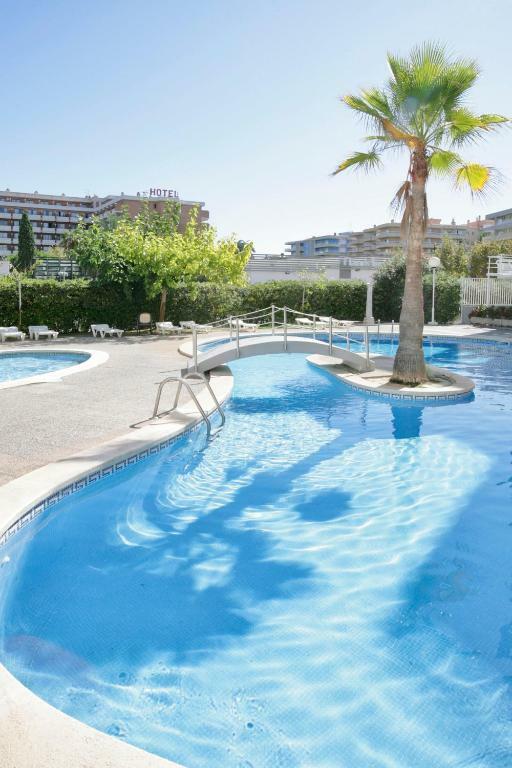 Spend a relaxing day soaking up the sun the outdoor pool or on the terrace. 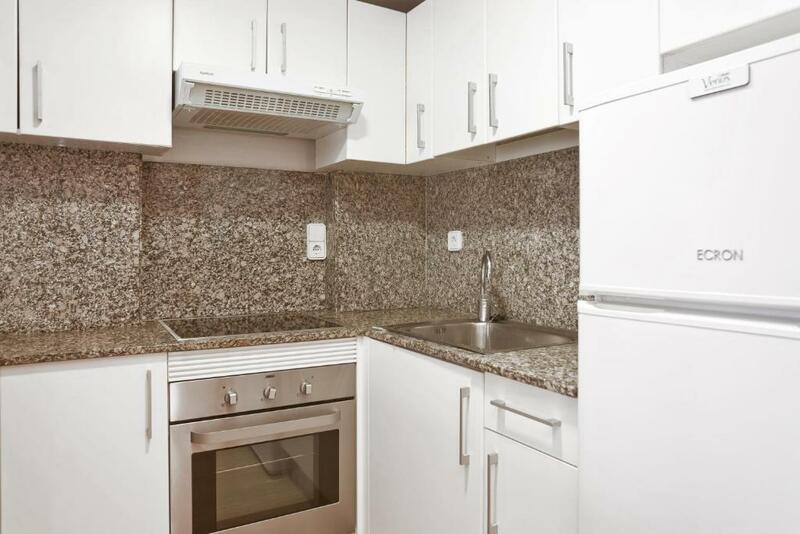 Stock up on food at the nearby supermarkets, and then prepare homemade meals in the Rentalmar Royal Apartamentos modern kitchens. Alternatively, sample Catalan cuisine in one of the many local restaurants. 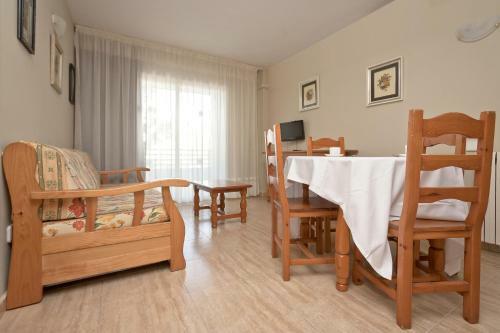 When would you like to stay at Rentalmar Royal Apartamentos? This apartment has a twin bedroom, a living-dining room, a double sofa bed and a kitchenette. 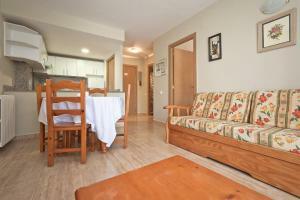 This apartment has 2 twin bedrooms, a living-dining room, a double sofa bed and a kitchenette. 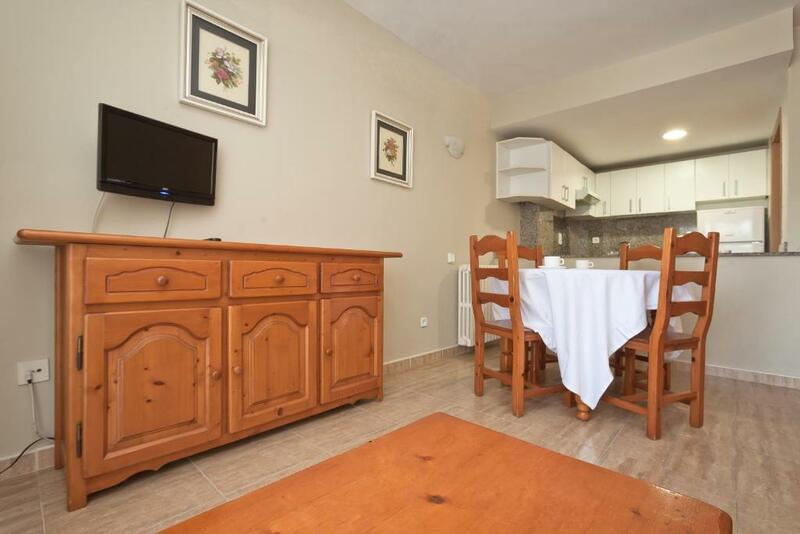 The Rentalmar Royal apartments are comfortable and practical, located in the center of Salou and very well connected by public transport. Spacious, modern, functional and with a sunny pool. A few meters from the beach and the Jaime I promenade, Royal apartments are also located within walking distance to Port Aventura. 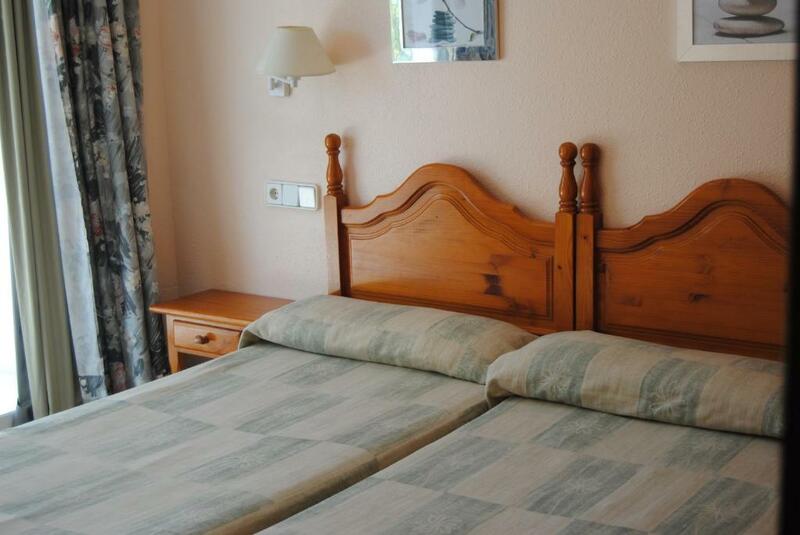 Located in the Plaza de Europa, it is close to the beach and to Port Aventura and Ferrari Land. There are supermarkets and restaurants in the vicinity. House Rules Rentalmar Royal Apartamentos takes special requests – add in the next step! Rentalmar Royal Apartamentos accepts these cards and reserves the right to temporarily hold an amount prior to arrival. 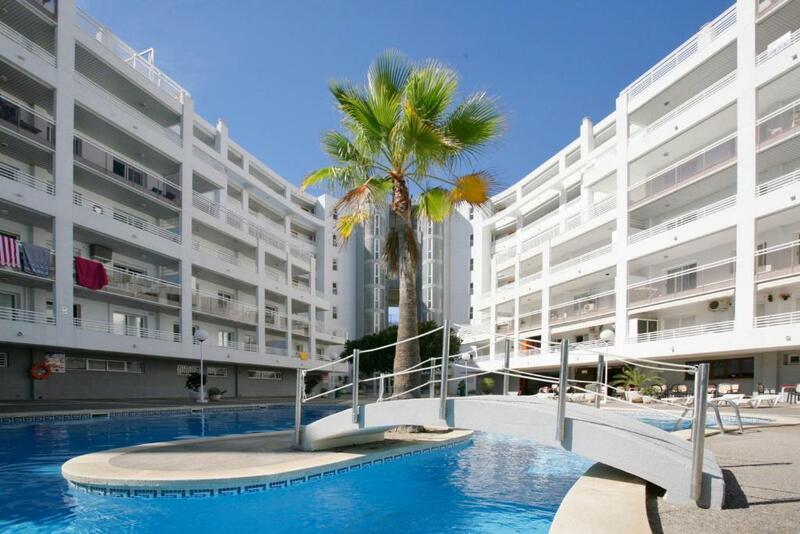 Please note that check-in and key collection take place at: Rentalmar Calle Navarra 2, Salou 43840. How close was to get everywhere. The floors were dirty when we arrived. Would've wanted some oven mittens and more toilet paper. The kitchen was shabby and poorly equipped...no coffee machine, which I think should be a minimum requirement. Bed was ok, but the pillows could be swapped for bricks and the effect would have been the same. 2 apartments for sleeping 4. Each only had 3 blankets (which seemed old and dusty) and it was cold still being March. One apartment did not have any linens on arrival even though it was included in the price. Took 4 days to sort problems out and extra blankets pillows. No reception on site had to go 2 blocks to complain or get assistance. Staff uncooperative! A bit noisy due to the location, traffic noise could be quite relentless.